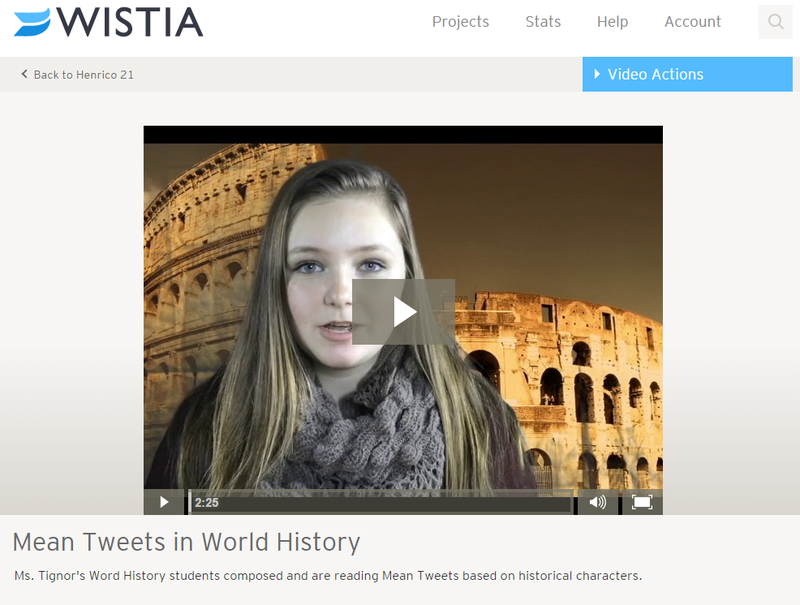 Wistia is a video hosting service that allows teachers to upload a maximum of 50 videos FREE of charge. Unlike Youtube, Wistia is not blocked by the counties filtering policy, and you do not need to worry about inappropriate ads popping up when viewing videos. Any video that is uploaded to the Wistia site can be embedded in a website, or shared via email or social media. Students also have the option to leave comments and feedback about the videos directly on the site. Click on the picture below if you would like to see how a video will appear on the site.